Basically a 3/2 for 2 who lets you redistribute one of it's Health and one of it's Strength. 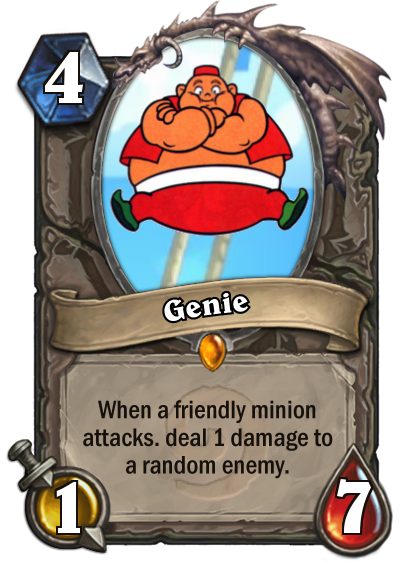 IMO, it seems a bit strong, but there are other 3/2 minions with good effects so I decided to just go ahead and make it. A 2/2 for 2 with one redistributable Health and the ability to give one minion a "Add any minion this minion destroys to your hand" effect. 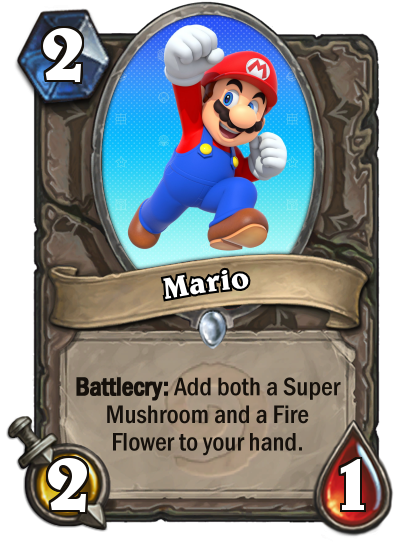 IMO, it's more balanced than Mario as it's Poltergust costs 2 Mana. 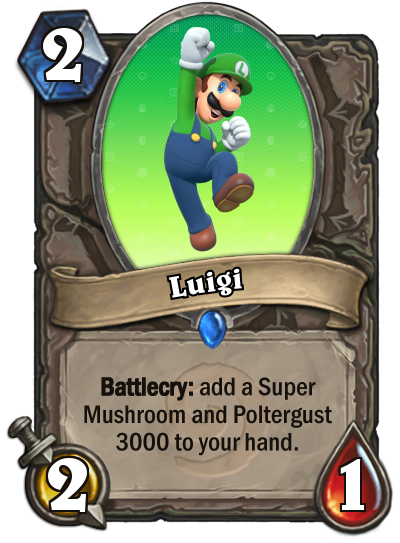 Oddly enough, Luigi's synergy with Peach was a mere coincidence, I just thought the Poltergust's effect would work best by "capturing" your opponent's minions. This and the Green Koopa are the basis for Luigi and Bowser's effects. 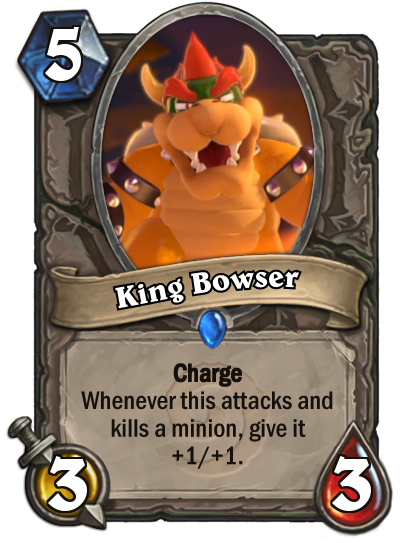 This was the first card I made after Mario, and was the direct inspiration for Bowser's effect. Pretty balanced IMO, though I can only imagine how much rage one would acquire when they find this basically gives cards like Ghoul a free effect trigger every turn XD! You may be able to tell that I like my 2 drops. 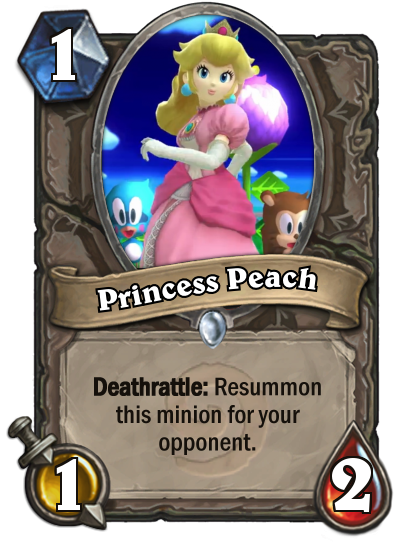 This little guy's basically a mix of Peach and a deathrattle version of Murloc Tidehunter. I think he kind of stretches the boundary for how complex a card can be, but my original idea was WAY wackier. 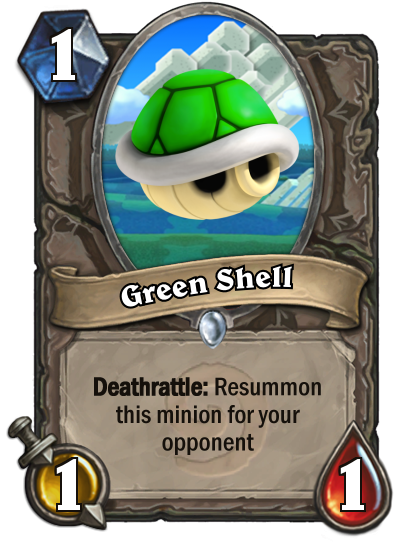 As in, the shell would switch sides after every attack and both forms would deathrattle into each other and switch sides at the same time! I think we can all agree this version is less absurd! You know how Mario gets an extra hit point when he grabs one of these? Yeah, exactly. 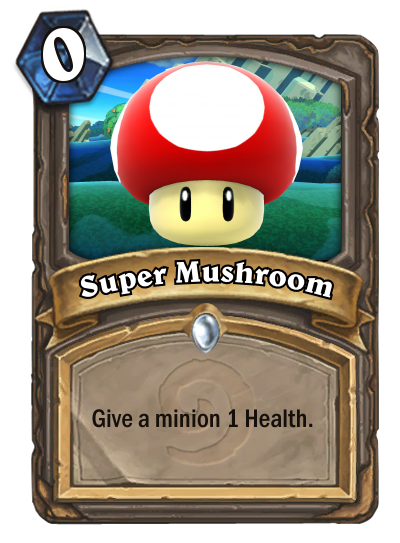 Like a Mushroom but for attack! May or may not allow ranged attacks. Totally not a Poltergeist 3000. 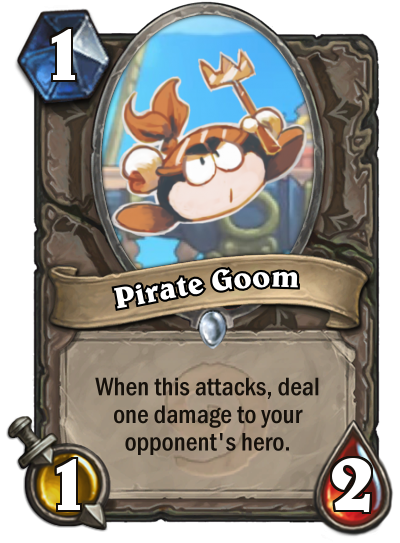 Basically what you'd get if you wanted to troll your opponent. Happy kicking! 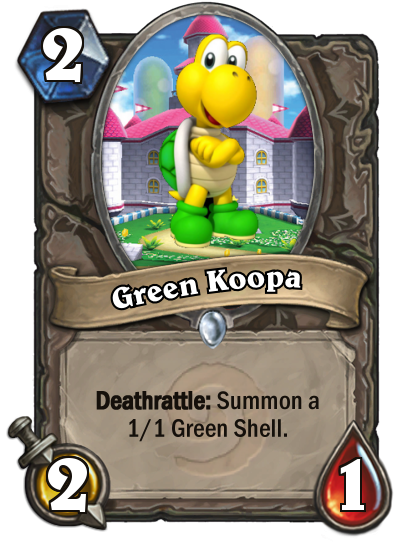 This was the first card I made, and had initially designed him to synergize with the Mario cards. I like the idea of him getting Immune while attacking, as it quite nicely fits with his secondary effect. 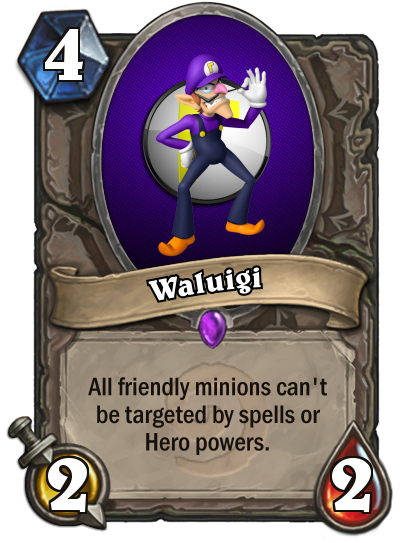 The only problem with him is how he's Level 4, but I think Waluigi makes him quite easier to use. 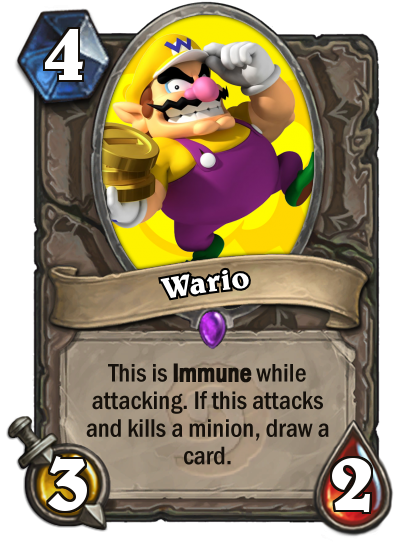 At first I wanted him to gain +1/+1 for every drawn card, but I definitely wanted him to be the same level as Wario and wanted him to be 2/2 like Luigi is. 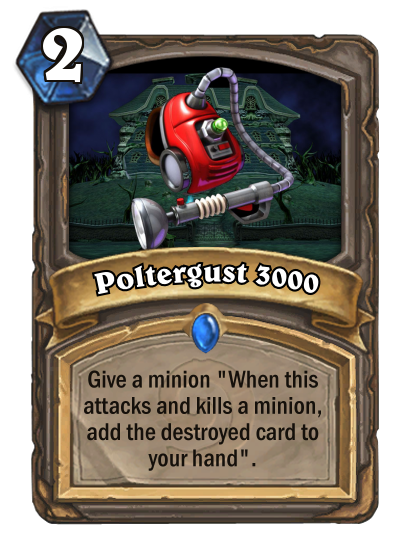 So I ended up changing his effect to something more useful. 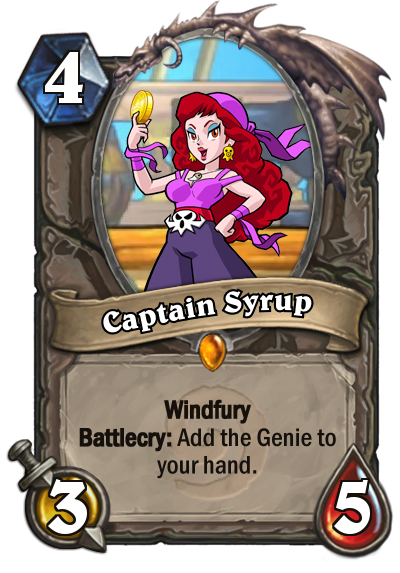 Windfury, good stats AND gives you an extra card, I really think she's my favorite card now. What can I say, he's good against Aggro. 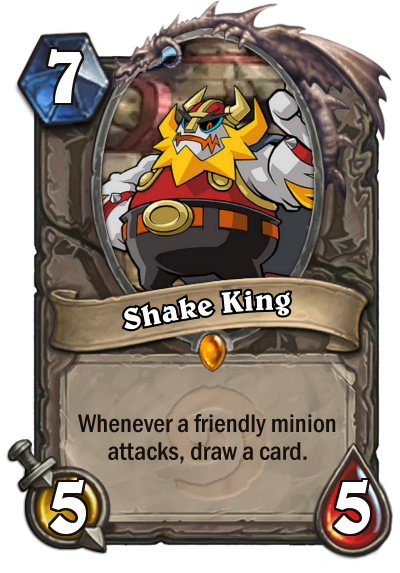 IMO, he's the deck's Trump Card. Paired with a Syrup from Last turn, he'll give you an easy 2 cards. I love just how Final Bossy his effect is! Basically a 2/2 for 1, which makes him incredibly powerful. The only problem is that one of those damage points only occur when he's attacking and always hits the enemy's hero. 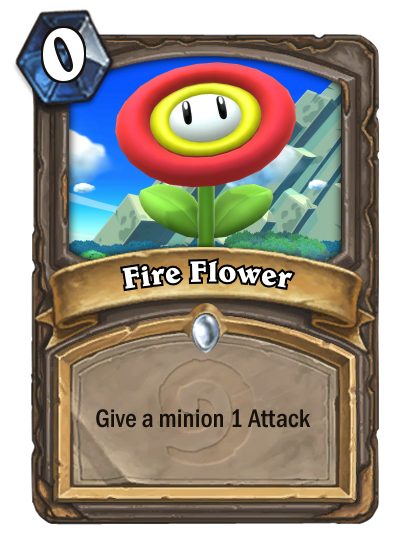 IMO, it's a very unique card. Good for Aggro. From the OP: So, I've recently built a couple of mini waves of custom cards in my spare time and thought I could share them here. A couple of them do seem a bit OP, and a few others a bit UP, but I think I've made a mostly balanced set of cards. Do note however that the mechanics of the cards are a bit strange.